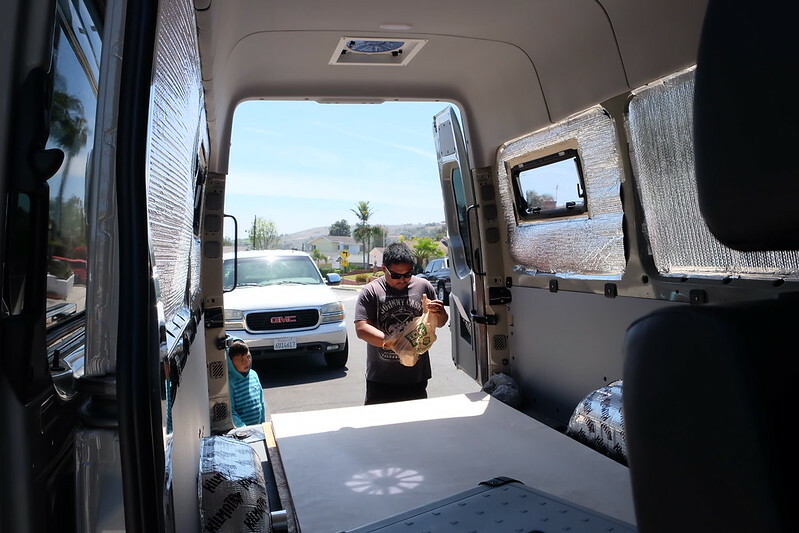 One of the more complicated part of building a van for many people is choosing the right equipment for the electrical system. 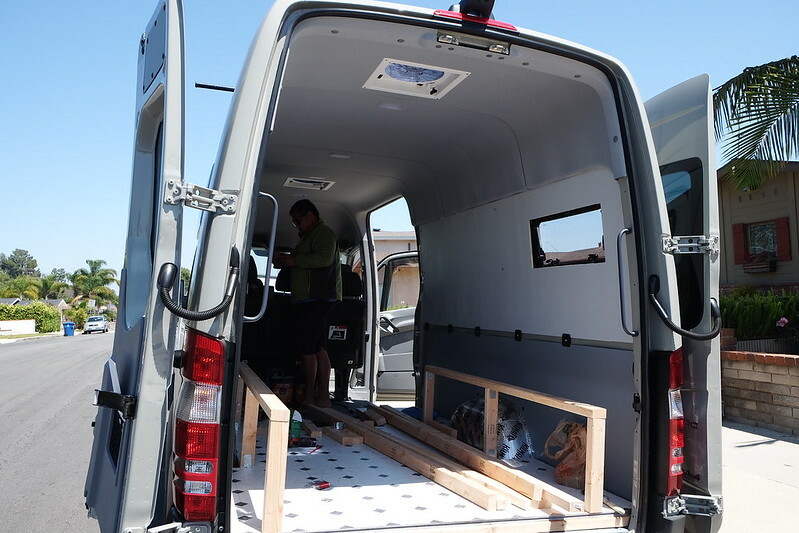 Selecting electrical components for your build can have long lasting impacts on how you use your DIY camper van. Will you have enough power to charge all of your devices? How will batteries get recharged when they are low? Where and what kinds of outlets do you install? And most importantly, how do you build such a system by yourself and ensure that it is safe? 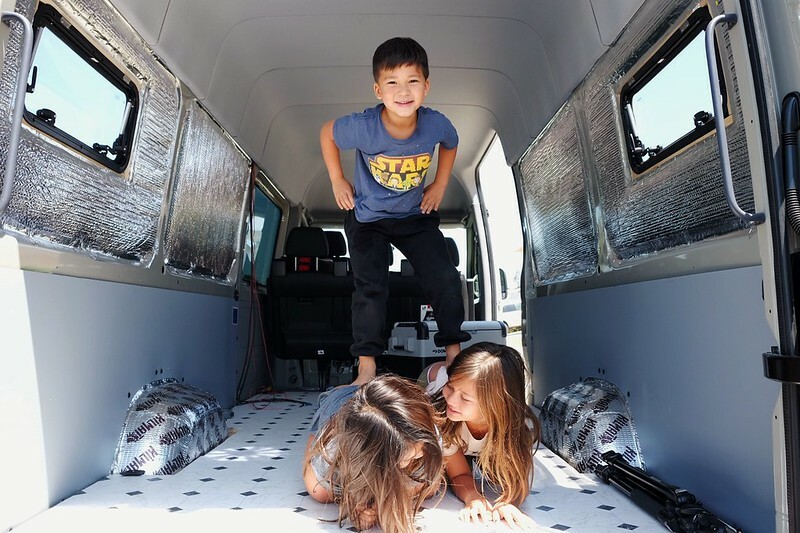 Of course these were all questions we had for ourselves during our van build. 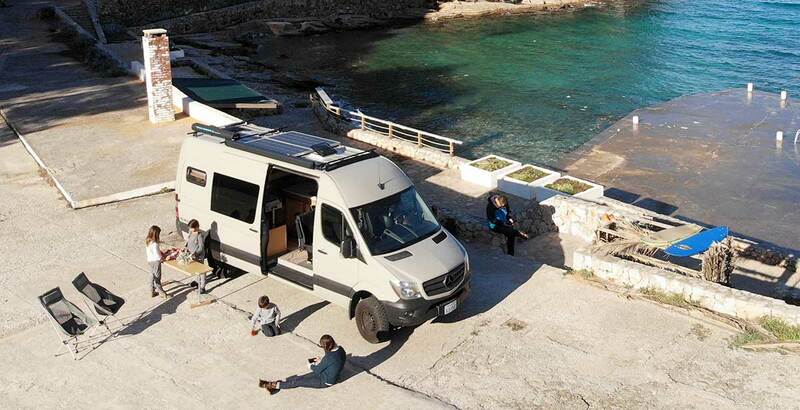 Luckily for us, we have many years of full-time living in campers under our belts so we knew just exactly how we would use our electrical system. By no means did we build a ‘spare-no-expenses’ ultimate system of our dreams. We had limitations to work with but we tried to build the best system we could knowing our limitations. In my junior year of high school I worked as a cook at a summer camp in the Sierras. That little gig lead me to a stint in the food service industry as well as lighting a little spark in my love for wind-powered water crafts. While at camp, when I wasn’t mixing up massive batches of macaroni and cheese or clearing plates to put in the industrial-sized dish washer, I went to the alpine lake and did my best to not turtle their Lasers and the Hobie Cat. At 9,000 ft in elevation, the last thing you wanted to do is finding out just how cold that water is first hand. All summer long I sailed across the lake numerous times, explored the coastline and discovered countless alcoves inaccessible by land. 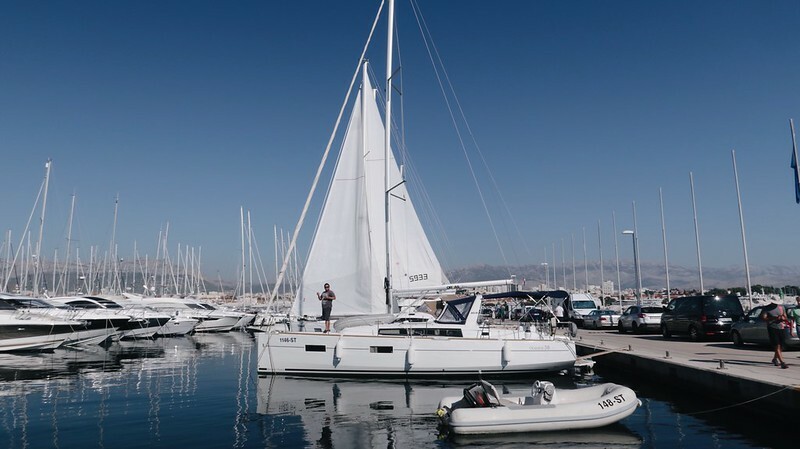 That summer led to me owning several sailboats of various sizes in my 20s as well as getting my bareboat chartering certification. Saying hello to Europe and goodbye to Yoda the cat. 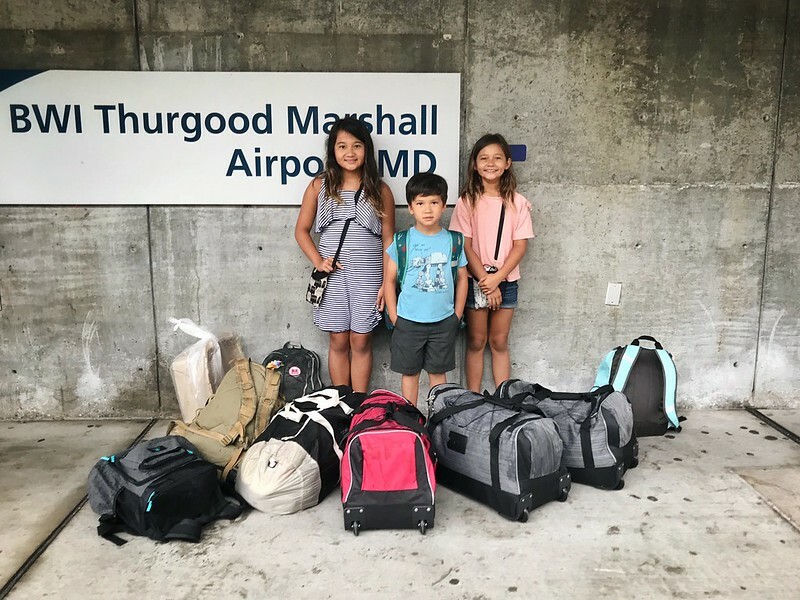 After traveling North America as a family for the past 10 years, it was time to switch things up again. We visited the 49 continental US states, all Canadian provinces, the Yukon territory, and a good chunk of Mexico. Of course there is so much more to see since it’s impossible to see everything but our souls craved a change so a change is what we got. 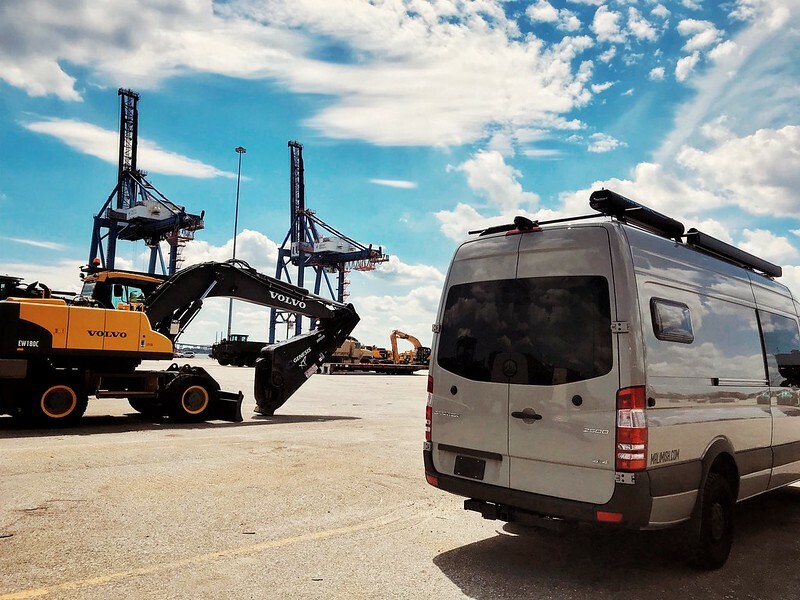 How We Shipped Our Van From US to Europe. 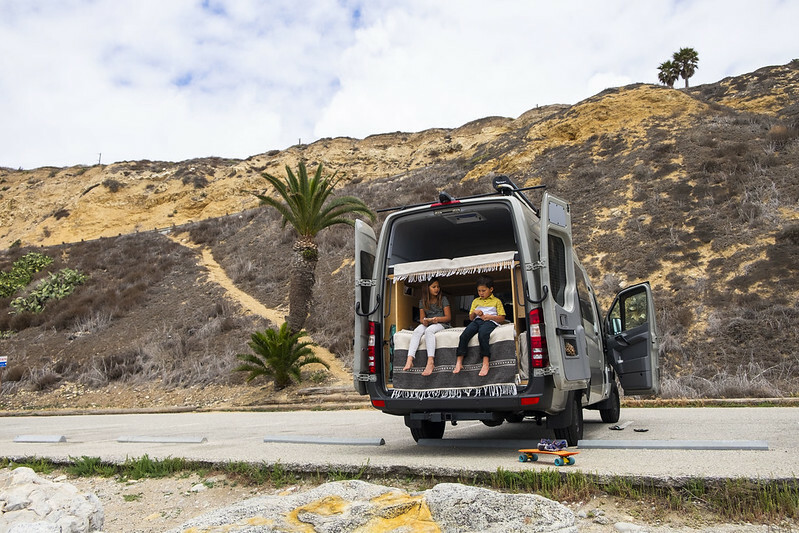 In September of 2018, we shipped our van from the US to Europe to order to continue our traveling adventure on a new continent. Here is how we did it, step by step. Beach day and brushing up on our Spanish with Lingo Cards. With our van build far enough along we decided to take Saturday off from building and take her out for a beach day. 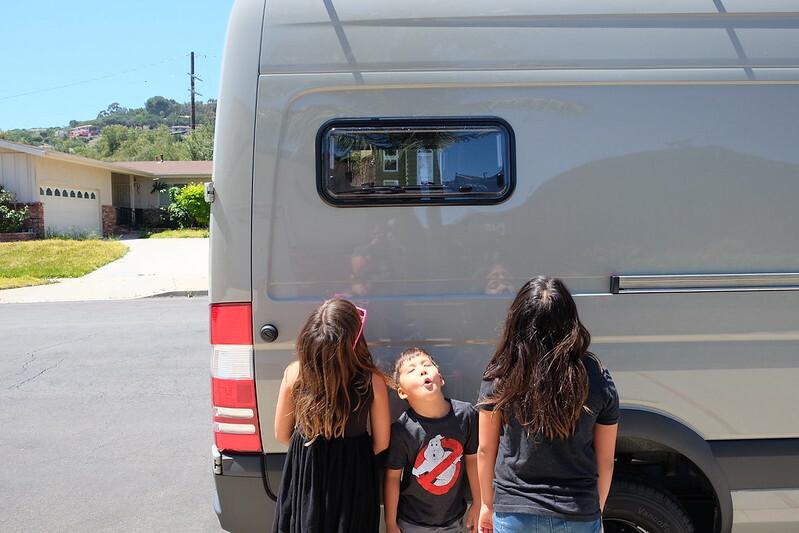 We use to love backing up our Airstream to a waterfront camp site because of the wide panoramic windows at the back of the trailer. It made us feel like we were floating on the water. We’ve not had that since we downsized to the truck camper and the Casita did not have such nice views. 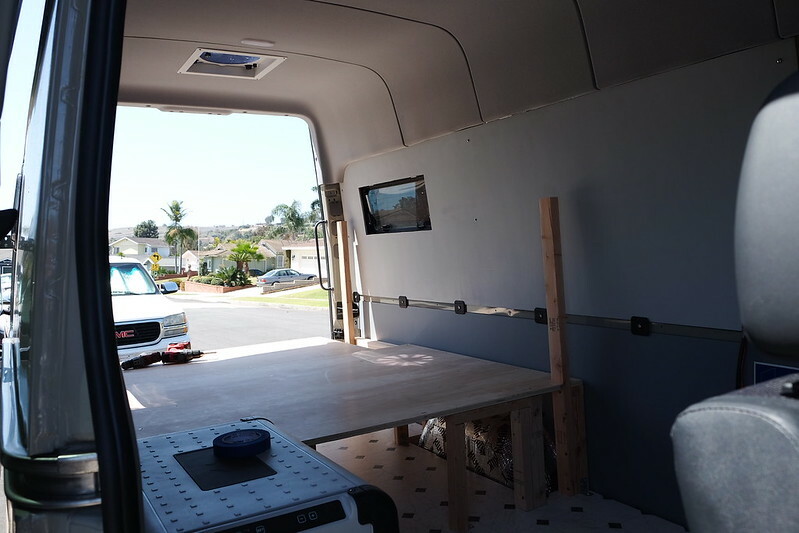 Started off of day dry fitting the side cabinet panel. 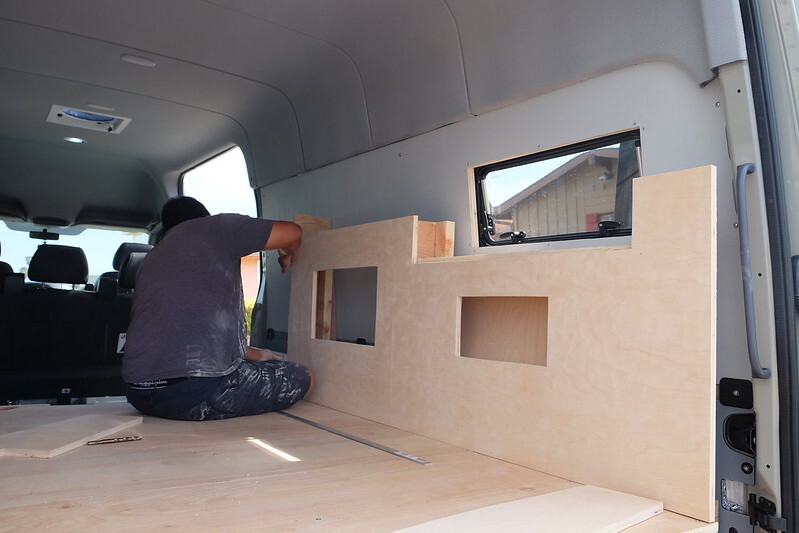 Now that the adult bed platform is complete, we can start building out the side cabinets that will help support the kids bunk area. Looks the same as we left it last night. Ha. Guess we got some more work to do. Yesterday they had plenty of floor space for their daily shenanigans. But not today. Today we install walls and start building the beds. You know what’s real heavy? These two big solar panels that we fused together on day 14. 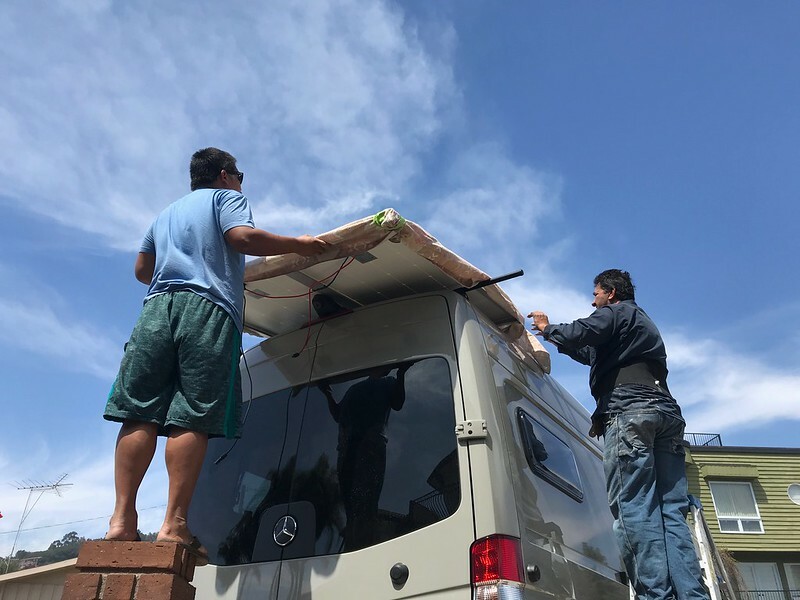 We had some concerns on how the heck we were going to get them on top of the van without damaging them, our van or ourselves. Luckily, it all worked out. The kids don’t seem too impressed with our window. Haha. Come on, kids! So much blood, sweat and tears went to install that tiny thing.